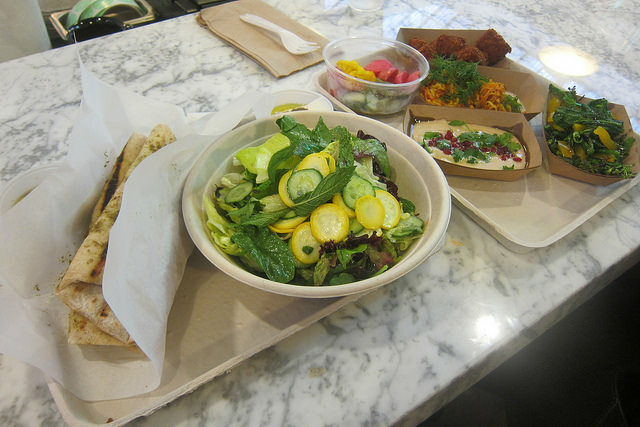 Madcapra opened at Grand Central Market about six weeks ago and it’s already the talk of Downtown Los Angeles for their falafel. If you go with a friend and can’t decide what to order, one option is the Go Big. 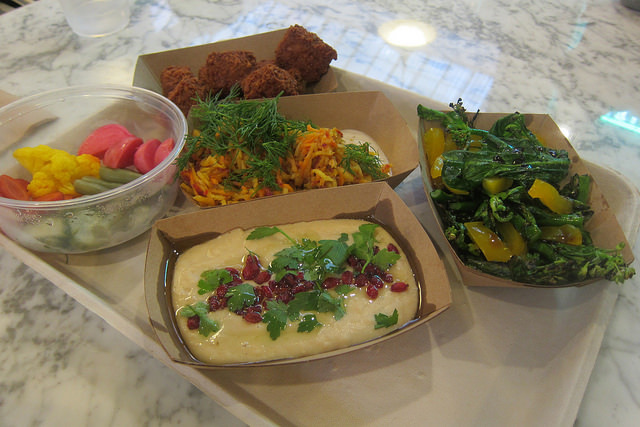 It includes falafel, flatbread, salad, a couple of dips, pickles and more. We dove right in and still left with leftovers. My favorites turned out to be the bitter greens, pickles and hummus. 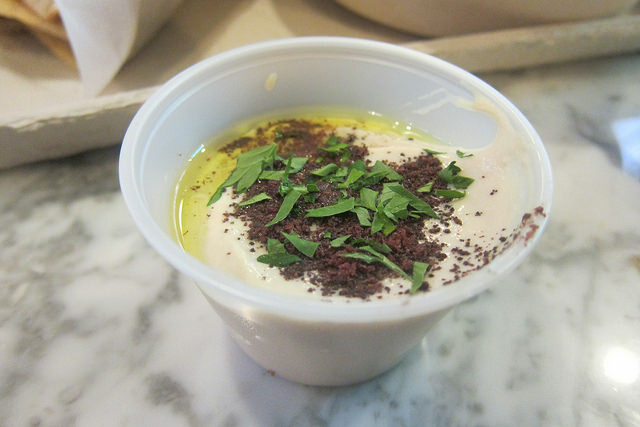 The hummus comes in a small bullet container but it’s still more than enough for two. 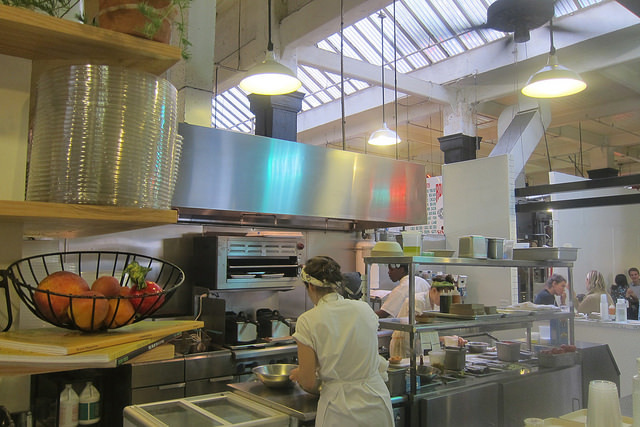 I love that there’s always new food vendors at Grand Central Market though I worry about the older vendors. I hope the pupusas, tacos and neighborhood favorite China Cafe doesn’t go away. Can vegan pho and ramen co-exist with these vendors? Time shall tell.